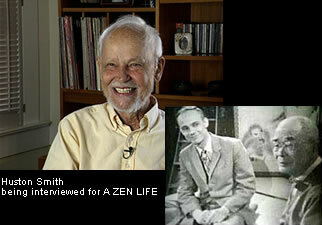 A ZEN LIFE - More on D.T. Suzuki - Marty Gross Film Productions Inc.
"What makes this film unique and special are the ample personal accounts by those who knew Suzuki. As such, it secures a very special place in the Suzuki archive. Through these personal accounts, the viewer has the rare privilege to be permitted a virtual glimpse into what it would have been like to encounter Suzuki personally. The film also reveals the depth of Suzuki's humanity. The wisdom and insight contained in this film are so inexhaustible that one must watch it over and over again." "Anyone interested in the impact of Zen Buddhism in the West, or the life of one of its most distinguished representatives, will be intrigued and affected by the film’s alluring intersection of biography, history and transformative ideas." "His teachings were traditional but radical, and influenced many, including Jung, Fromm, Ginsberg, Merton and Heidegger. And Suzuki’s long life, explored through archival footage and interviews, exemplifies a path of both inner stillness and answering life’s call." 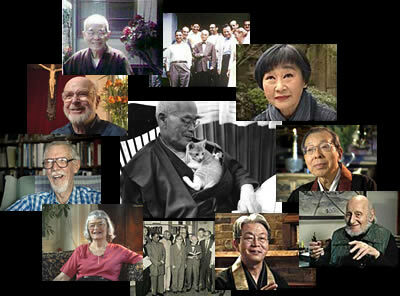 "A Zen Life portrays the late Suzuki through archival footage and photographs. But what is most touching and possibly most profound about the doc is the way he lives on in the memories of his students and friends. 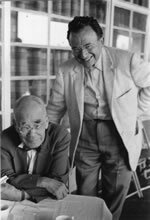 The interviewees show themselves to be extensions of Suzuki’s teachings by describing the grains of knowledge he provided them – and explaining how the seeds took root." "If one wants to understand what Zen teaches, this DVD does not intend to offer an answer; rather, it presupposes a minimum knowledge of Zen. However, a first-time viewer can still benefit from the film, under proper guidance of an instructor, as Suzuki touches on important Zen ideas." Mihoko OKAMURA Dr. Suzuki's personal secretary the last 15 years of his life.